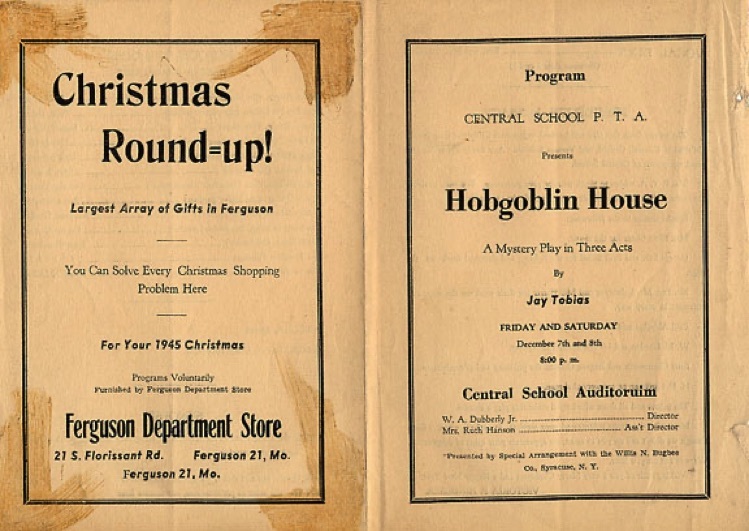 Hawthorne's first play was presented at Ferguson, Missouri's Central School on December 7 and 8, 1945. 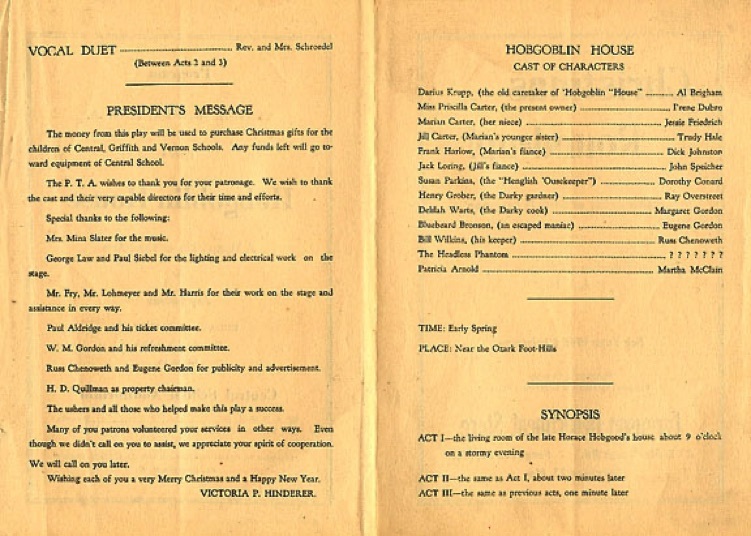 Hobgoblin House was such a success that the participants decided to form a "full-fledged drama society." They met on December 17 at Mr. and Mrs. Richard Johnston's home at 36 Robert Avenue, elected officers and adopted a constitution and by-laws. 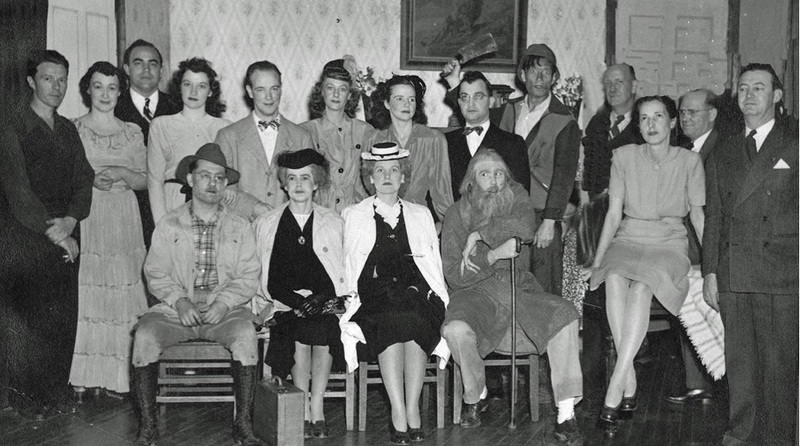 At their next meeting in January, 1946 they chose the name Hawthorne Players.